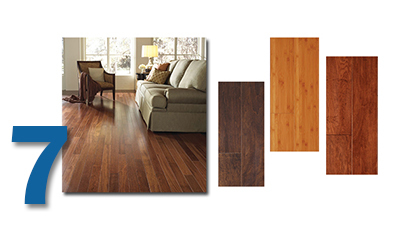 Versini offers beautiful engineered hardwood floors with an eye toward sustainability. In general, compared to solid wood floors, engineered hardwood floors yield up to 3x more square feet of floor covering per tree harvested. Versini takes it a step further by using 83-100% recycled hardwood or rapidly renewable hardwood which makes their “forest footprint” up to 10x less than other engineered wood flooring manufacturers. Visit our Wood Flooring Photo Gallery to see more. 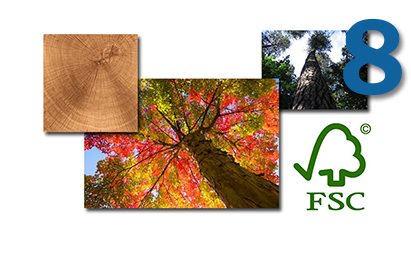 Many of the lumber mills we work with are Forest Stewardship Council certified. Through that process, they commit to using responsibly harvested lumber and to limiting the use of chemicals like formaldehyde in their treatments and bonding agents. The Forest Stewardship Council mission is to promote environmentally sound, socially beneficial and economically prosperous management of the world's forests. Check out our Lumber page to learn more about how we help you save BIG on lumber.